This entry was posted on December 22, 2017 by thatpartychick. 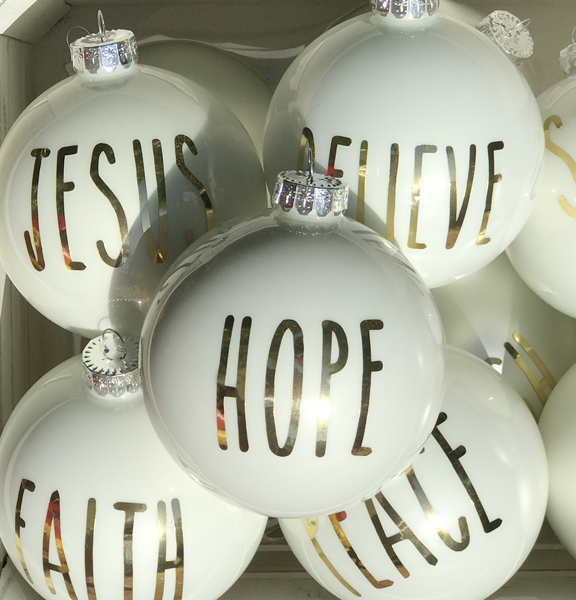 My youngest daughter wanted to make ornaments this year with our Cricut Explore Air 2. 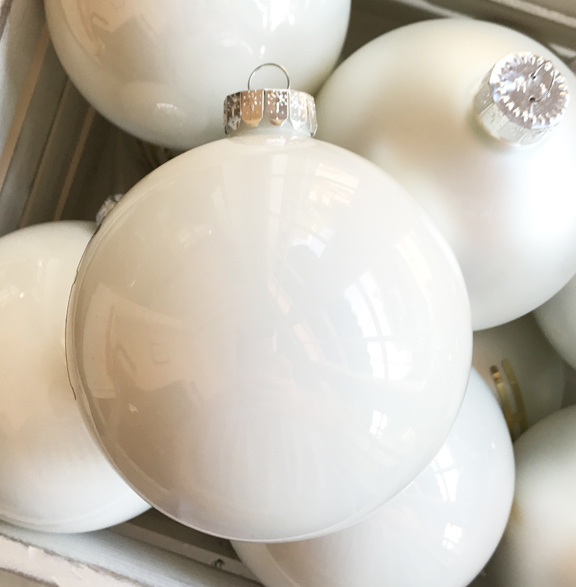 So, we started at Hobby Lobby and she selected these white ball ornaments. 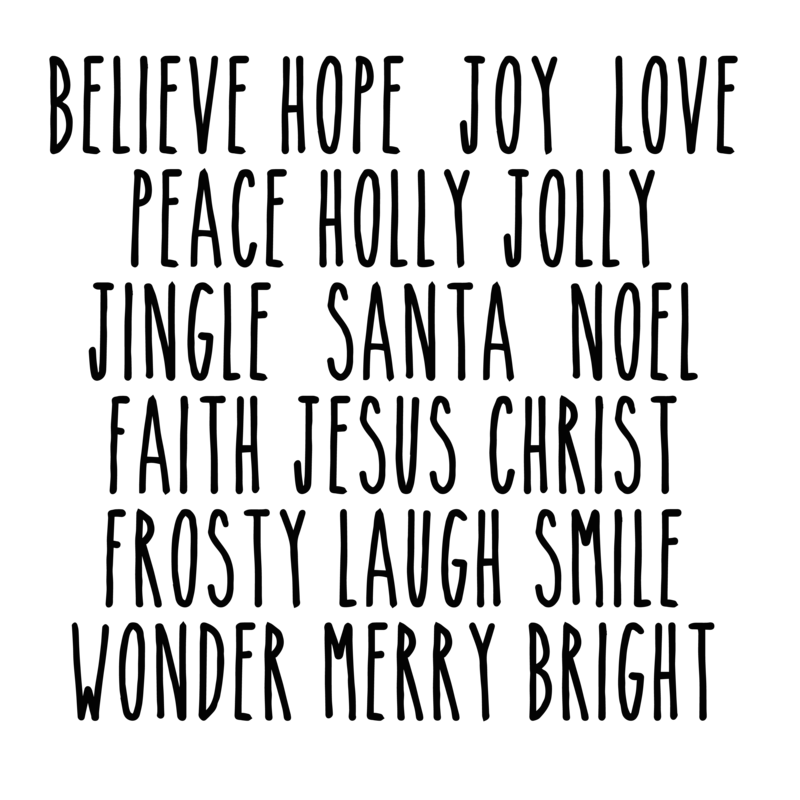 We created a sheet of Christmas words in her favorite skinny font. Click here for the file as a PNG to load into Cricut Design Space. 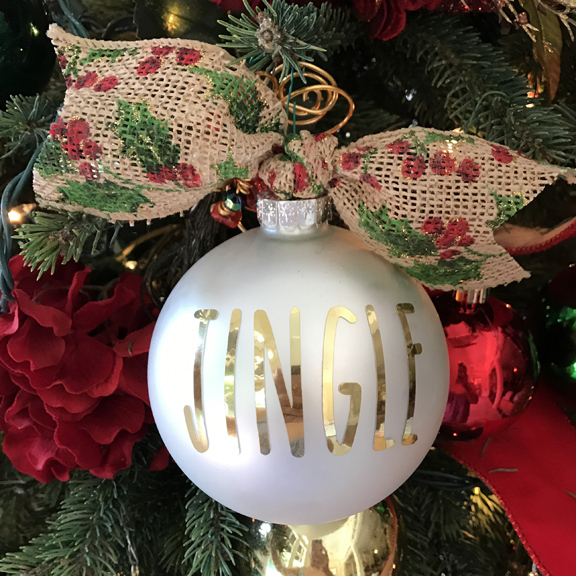 We printed them on permanent gold foil vinyl and applied them to the ornaments. And, she picked out this burlap, holly ribbon from Hobby Lobby to adorn them. 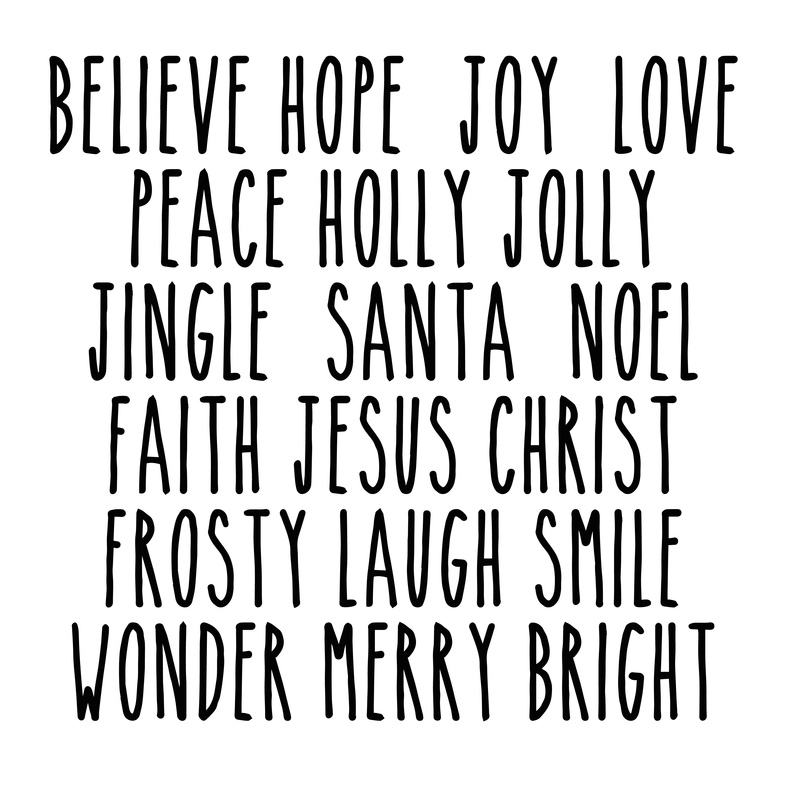 We hope you enjoy using our Cricut design sheet for lots of Christmas projects. Merry Christmas from That Party Chick!